not sure in what year this change took place but possibly 1982 as that date appears on the rear of the newer manual. Edited by stevep, 26 August 2017 - 03:45 PM. Steve, That's a rare beauty that has no equal. I would still like to compare it to the Nikon, but my pockets are not deep enough ! 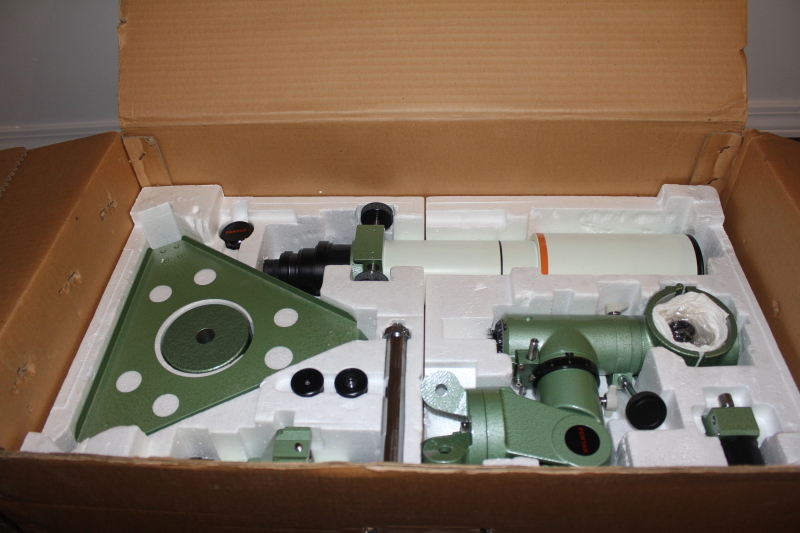 Very pretty kit, and the baffling is intense! 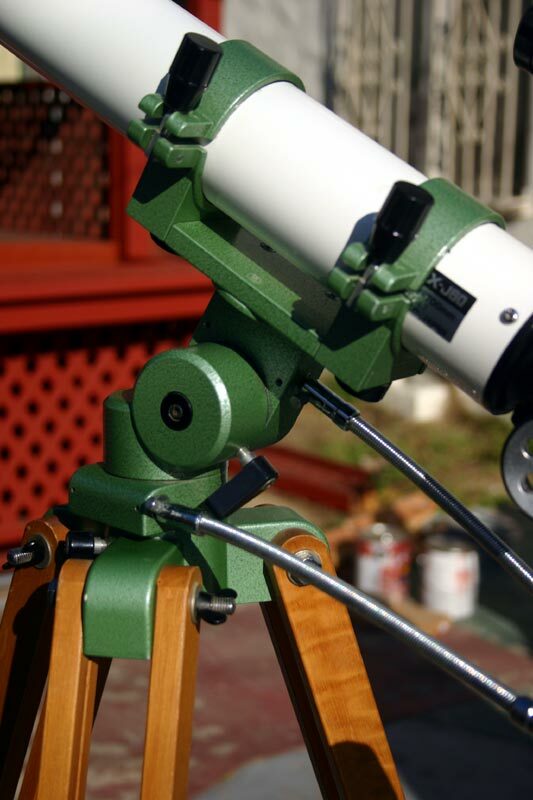 Steve, thats a beautiful telescope! 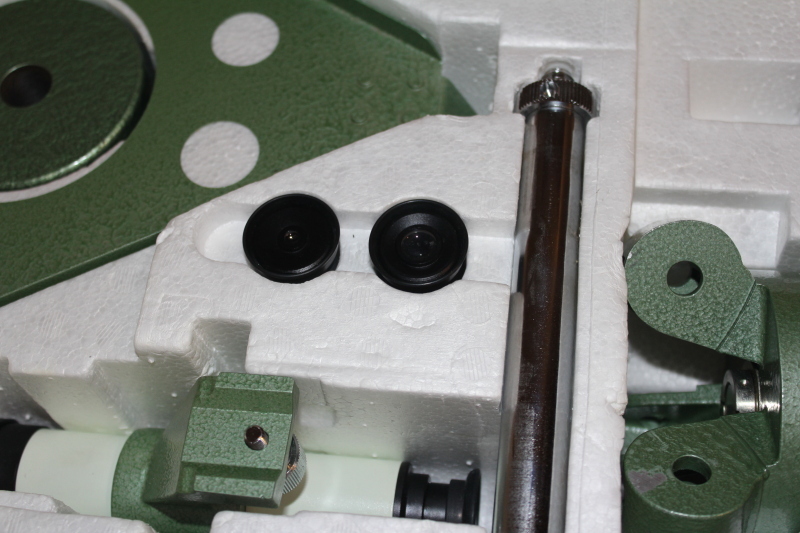 Having had a look at the achro version I think the tubes are the same, but as pointed out pretty thorough baffles. 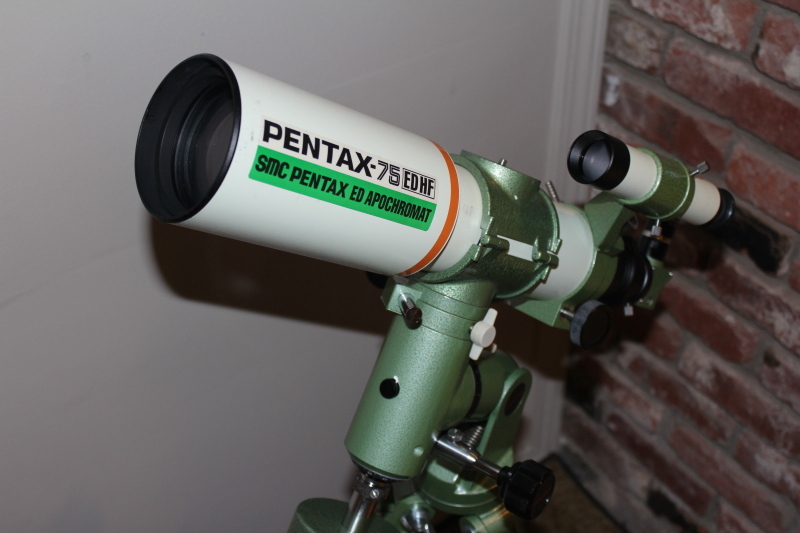 Thanks, we want to see more pics of your 75 once it arrives, was this scope design for visual, AP or both ? 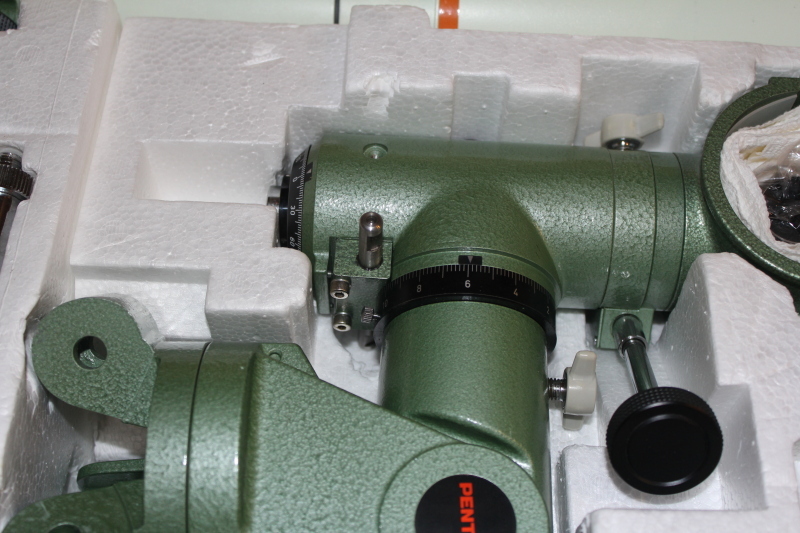 Scope is arriving today! Can not wait! 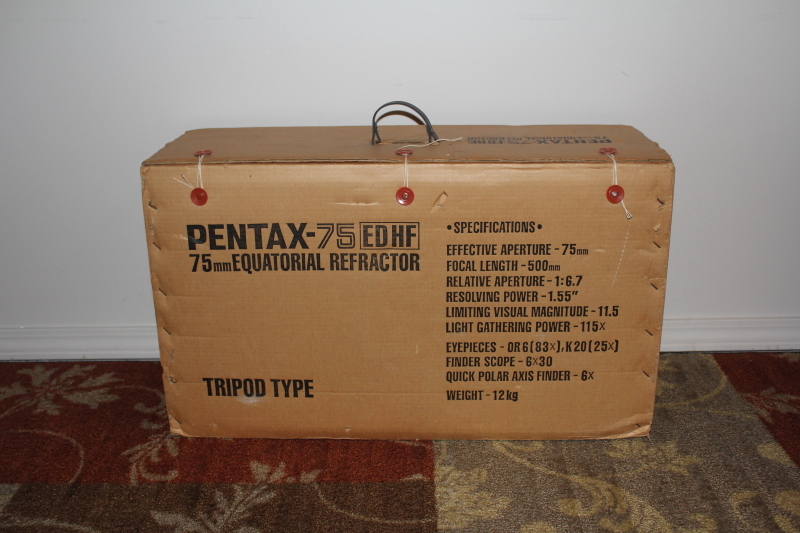 The Pentax 75EDHF I think was designed primarily as an astrograph with the built in field flattener. I have heard that they are good for visual but has slight residual CA on bright objects. 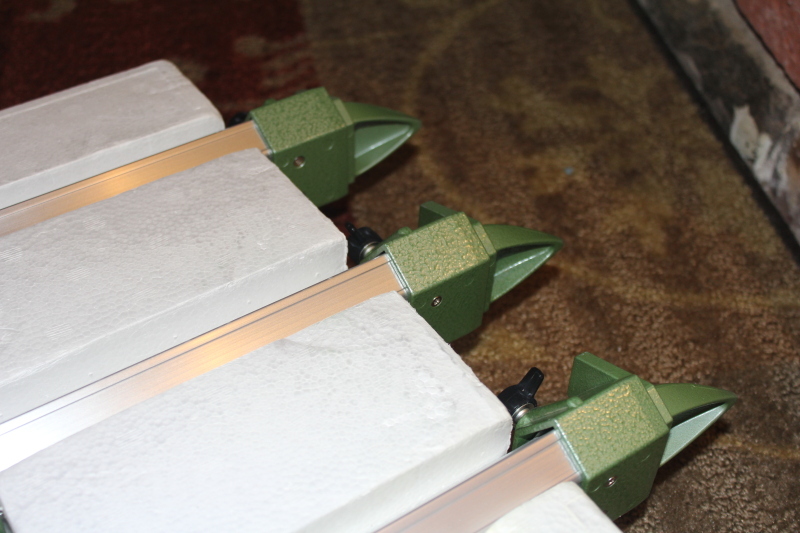 Will test out and report with pictures in the coming days. 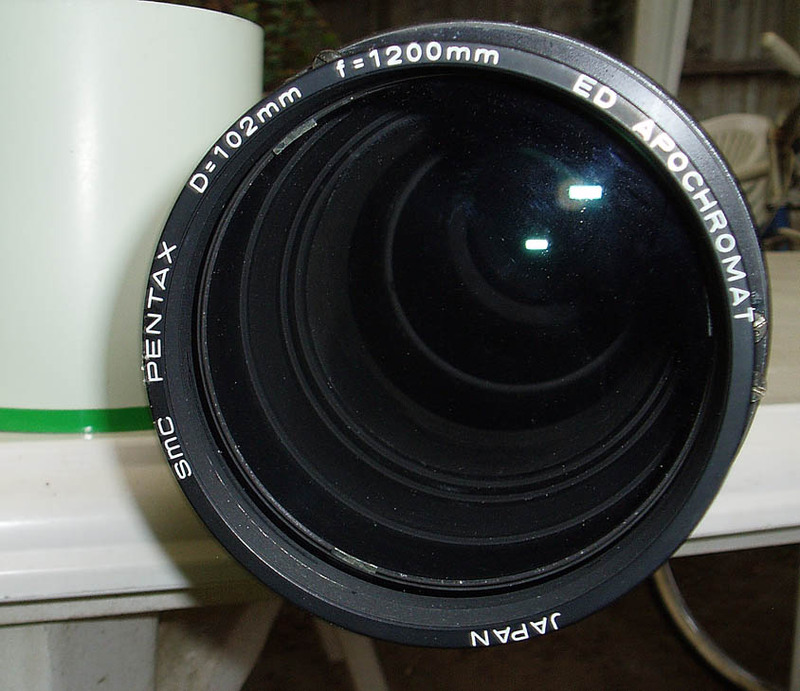 This is my Pentax MS-5 GEM with a Mikage 210 mm F/7.7 Newtonian OTA that I purchased new while stationed in Japan in 1988. 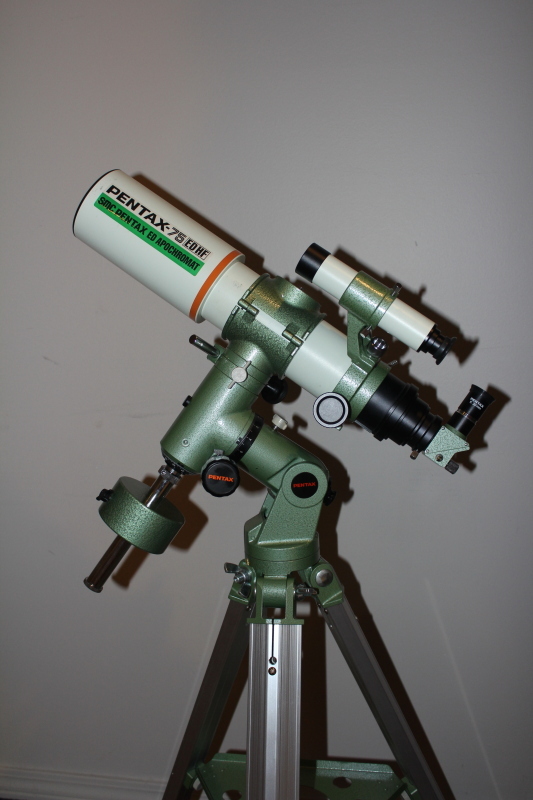 I still use this telescope and mount every clear night. 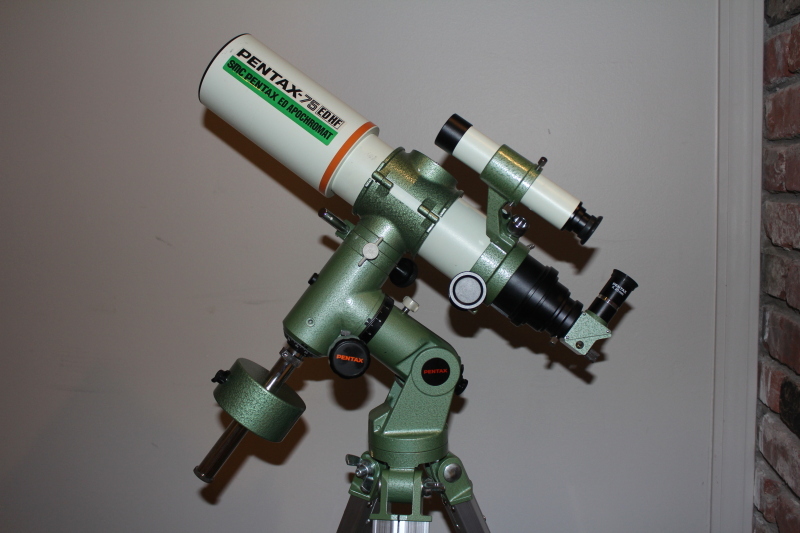 The Pentax MS-5 GEM is probably the highest quality mount ever produced anywhere for sale to amateur astronomers. 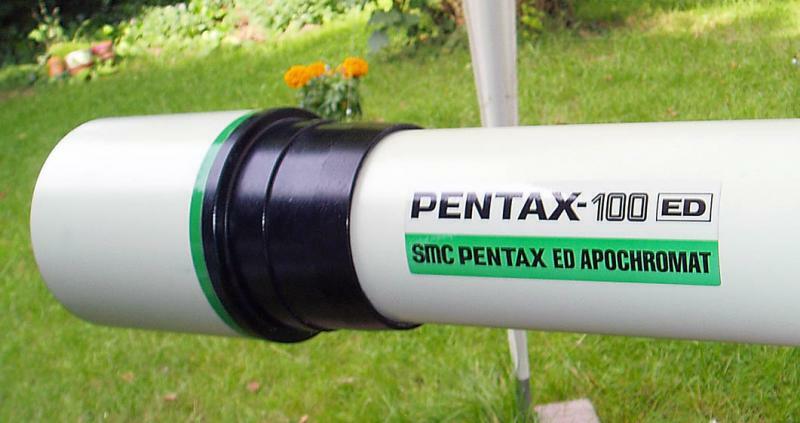 It has a mass of 140 kg so it is not portable but has a payload capacity of 60 kg and a periodic error of only +- 2 seconds of arc. I do not think any more than 100 were made. Mine is serial number 65. In nearly 30 years this mount has never had a single instance of malfunction of any kind. 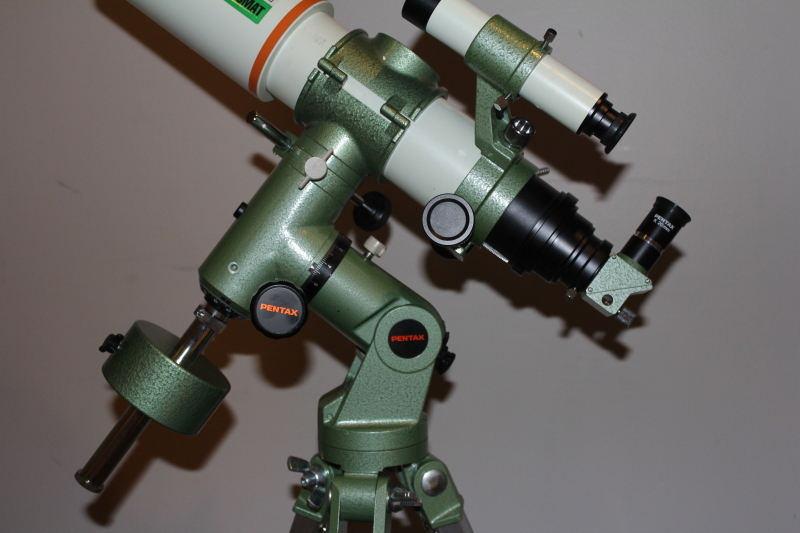 What a beautiful mount/scope combo! Thanks for the pic! 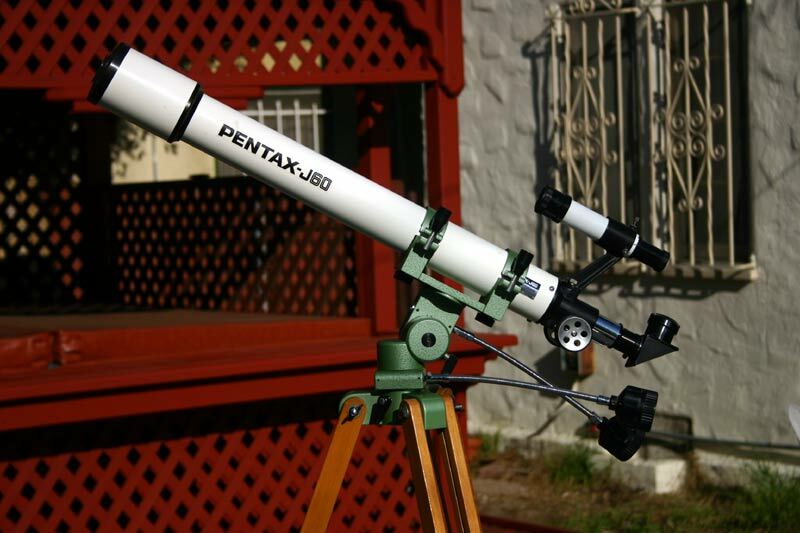 Do you happen to have the manual to this mount? I do have the manual but it is in Japanese which I can read. 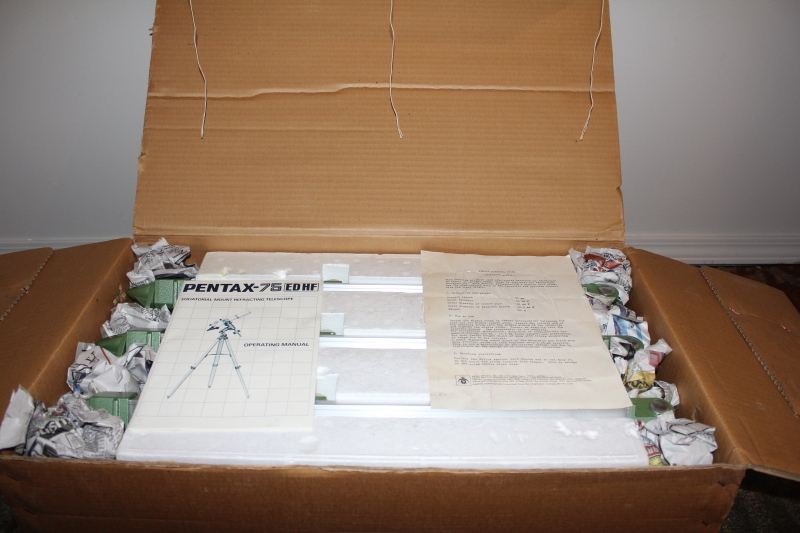 The MS-5 was never built for the export market so I do not think there is an English language manual. 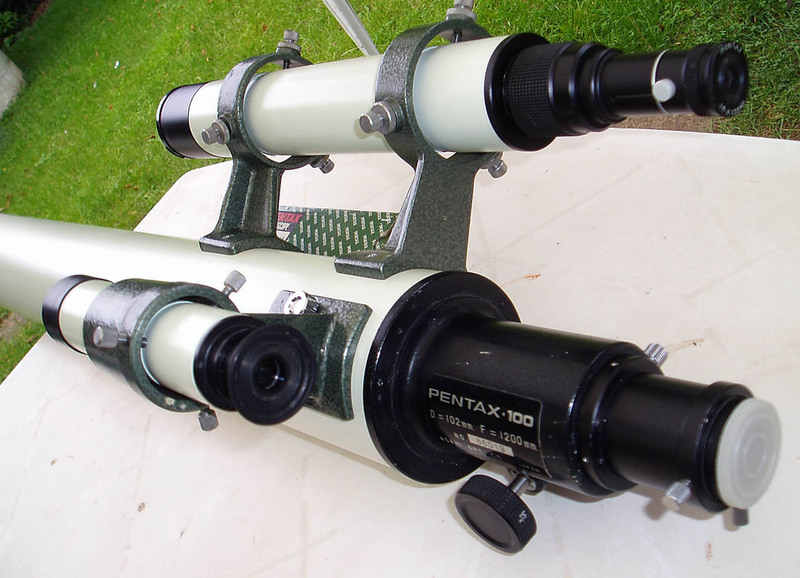 One of the best 60mm scopes I ever owned was a J60 - easily better than my old Unitron, and even edged out my Mayflower 815. The alt/az mount was a jewel - like an old Tak in quality, heavy rings, movements smooth as butter and with nice maple legs. 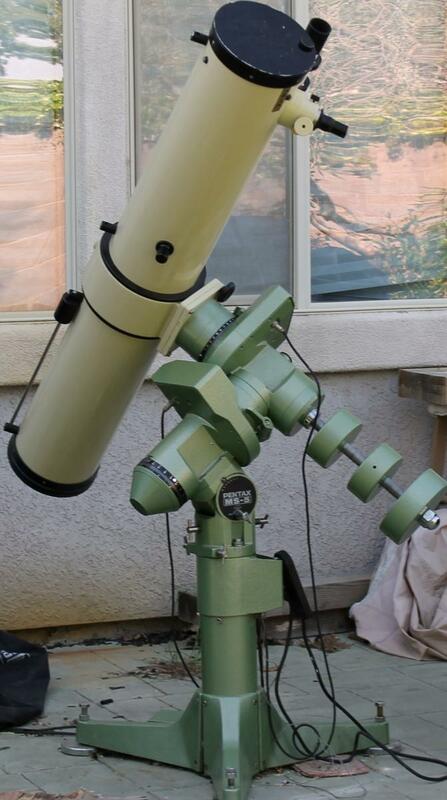 I regularly viewed planets at 150x, sharp as a tack. Not bad for a 60mm achro. 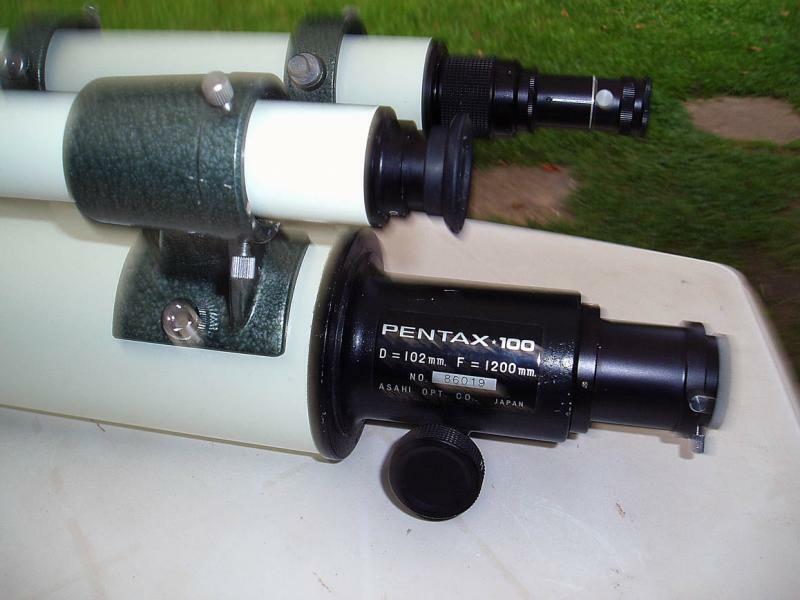 BTW - those pics were from back in the day when we started the "classic scopes" section. Not long after the site crash (2003) lost the older threads and we had to re-register (which is why my join date is 2004). I think this was from 2004. Edited by JakeJ, 30 August 2017 - 02:23 PM. There is a J60 just a couple miles from me that I have been looking at for weeks. If they are that good, I think I will head over there tomorrow and get it. Steveg - good to see you are still here! That's great - I haven't seen one for sale for years. Did you receive it? I'm looking forward to some pictures!